Trending at C $9.59eBay determines this price through a machine-learned model of the product's sale prices within the last 90 days. Joy of Cooking All About Grilling Used. 1 book with 500 New recipes and 4000 of the most loved recipes. see photos of the item you will receive. (Item #Z074320204XZ2|0). Binding: Hardcover Publish date: 2000. Authors : Rombauer. Joy of Cooking All about Party Food. 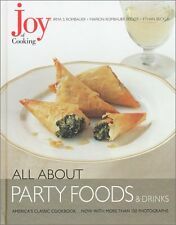 Title : Joy of Cooking All about Party Food. Binding : Hardcover. Product Category : Books. Condition : Good. List Price (MSRP) : 12.62. About Universal Books Limited. 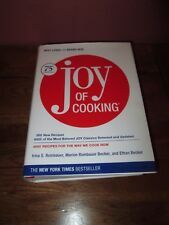 Joy of Cooking: Joy of Cooking by Irma S. Rombauer, Marion Rombauer Becker. Suddenly, society wives who used to enjoy a kitchen staff no longer had the money to employ them and began cooking for themselves. Trending at C $6.06eBay determines this price through a machine-learned model of the product's sale prices within the last 90 days. 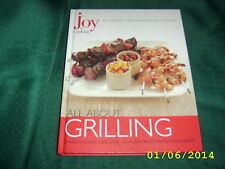 Authors : Becker, Ethan, Becker, Marion Rombauer, Rombauer, Irma S. Joy of Cooking: All about Grilling. Title : Joy of Cooking: All about Grilling. About COAS Books. Signed : False. Pages : 128. Publication Date : 2001-06-12. 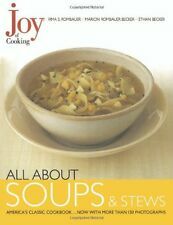 Authors : Becker, Marion Rombauer, Becker, Ethan, Rombauer, Irma S. Joy of Cooking: All About Vegetarian Cooking. 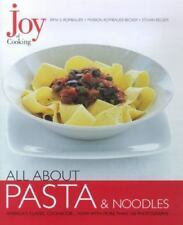 Title : Joy of Cooking: All About Vegetarian Cooking. About COAS Books. Signed : False. By Irma S. Rombauer, Marion Rombauer Becker, and Ethan Becker. We will give you all the support and help you need. No Dust Jacket, as published. Authors : Irma S. Rombauer, Ethan Becker, Marion Rombauer Becker. Joy of Cooking: All About Chicken. Title : Joy of Cooking: All About Chicken. About COAS Books. Signed : False. Pages : 128. Condition : Good. Hardback with dustjacket published in 2006. Good condition. Author: Irma S. Rombauer, Ethan Becker, Marion Rombauer Becker ISBN 10: 0743202104. Books will be free of page markings. Will be clean, not soiled or stained. 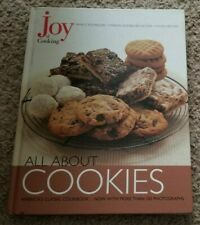 Authors : Becker, Marion Rombauer, Becker, Ethan, Rombauer, Irma S. Joy of Cooking: All About Chicken. Title : Joy of Cooking: All About Chicken. About Outbooks, Inc. Pages : 128. Publication Date : 2000-10-25. 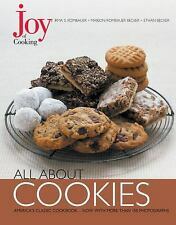 "ALL ABOUT COOKIES" by Irma S. Rombauer, Marion Rombauer Becker, Ethan Becker. A fresh and original way to put the classic advvice of Joy of Cooking to work - illustrated and designed in a beautiful and easy-to-use new book. Irma S. Rombauer, Marion Rombauer Becker and Ethan Becker. 75th Anniversary. Joy of Cooking.